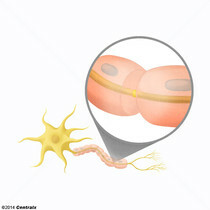 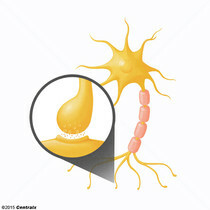 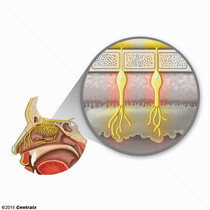 The synapse between a neuron (presynaptic) and an effector cell other than another neuron (postsynaptic). 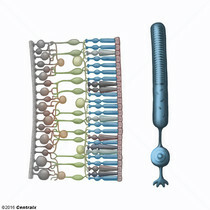 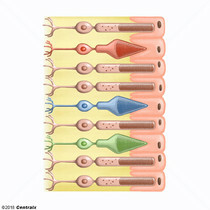 Neuroeffector junctions include synapses onto muscles and onto secretory cells. 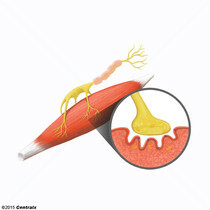 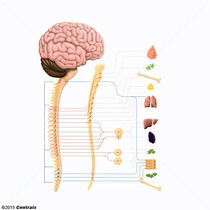 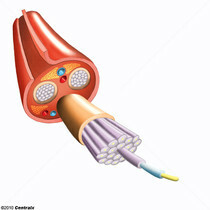 The synapse between a neuron and a muscle. 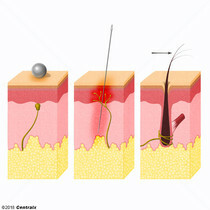 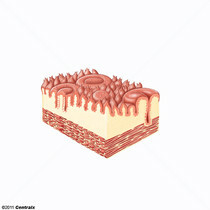 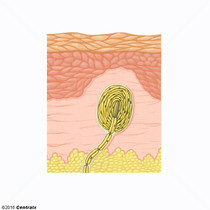 Rapidly adapting mechanoreceptors found in subcutaneous tissue beneath both hairy and glabrous skin. 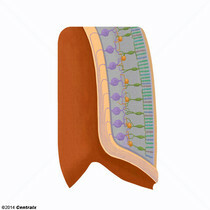 Pacinian corpuscles contain an afferent nerve fiber surrounded by a capsule with multiple concentric layers. 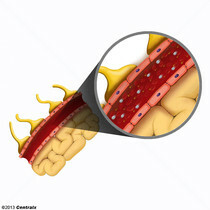 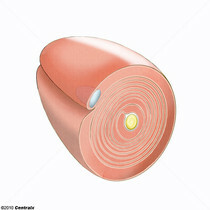 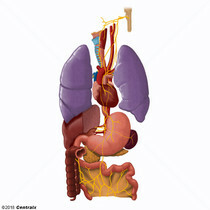 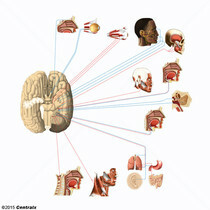 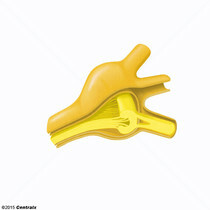 They have large receptive fields and are most sensitive to high-frequency stimuli, such as vibration.